This card started of as an idea for the Cute Card Challenge last week! Inside the card the sentiment continues with..
"..but I can decorate what I've got!!" Dig deep into your crafty stash and embellish away. It doesn't matter how you use them, as long as they are visible on your creation. If you haven't got any (!!!!) improvise! Only other "rule" is that a Charmed Download must be used. The Wonderful DIANE has set the challenge this time... and as its spring we'd like to see FLOWERS...As many as you like...as few as you like...paper ones, chipboard ones,diecut ones, flower images... real ones?...as long as they are flower shaped...slap them on!! I used the sketch in the reverse inside the card to mount the rear view of the man! You can used loose glitter, glitter glue or glitter card but there must be some glitter on your creations. Below are the DT samples for inspiration. Click on the links on the right to see how they were made. .....Must be time for a Bath! I did for a child as anyone who has sons will know who they seem to avoid water! 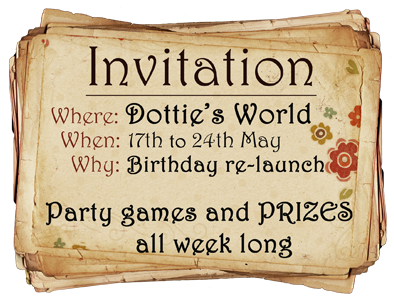 Party runs from 17th May until 24th that's what I call a party!! can be anything as long as it dangles!! but it needed to include short hair, shopping and visa cards! I used the image of Holly shopping used the crop bit in word, then I used an image of Madison cropped her so she was only a head and added to Hollys body. I coloured her using my Tria Markers, and thenmatted and layer her onto some green dotty paper. The background image of Visa cards was from Google and I changed the colour to blue in word. I then used eyelets to attach the mats together and two eyelets I could put ribbon throughfor the charms. The charms were again an image from Google shrunk and then printed two for each side, this way they have an image whichever way they hang. The ribbon was sandwich between the two mini visa and passed through the eyelet. Words done on my Brother labeller. Mum had asked me to make her a book to keep all the tags from her plants in. As the challenge over on My Time to Craft was 'Anything BUT a Card' I thought this fitted in nicely. I used Kay & Co paper to cover the front and back of the book . and each page has a pocket to slip the labels into and a space to right. On the inside of the front cover I using a small transfer of a bird on flowers just to add interest. The stamp is one of my Murray & Ethel ones coloured using pastal tria markers. The flowers are Anita demenisional flowers which I brought yesterday. These are a couple of quick cards I made for a friend who had a baby boy. The second card was from a Kanban kit I got from QVC - being tight I could not use the background card for the whole card so cut it in half and mounted onto pearlized card. This way I have half left to make another card! I want you to make a card or other crafty project using one of the Charmed downloads, taking inspiration from the picture below. 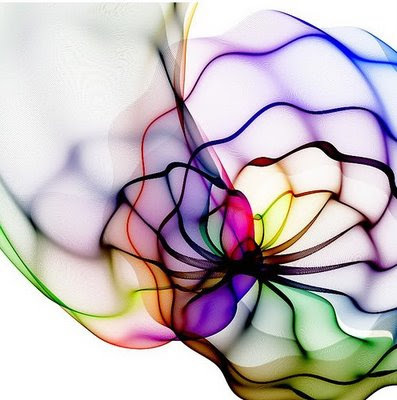 You might want to use some or just one of the colours, you might be inspired by the swirls or even the see through nature of it, it's up to you! We want to see flowers on your project whether they be the main image or embellishments. 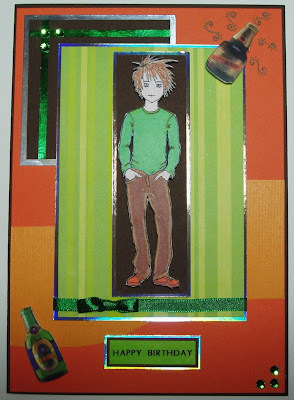 The Pollycraft Challenge was set by 10 year old Callum - to design a card for a child. This card is for my Godson whose birthday is today! Thought I had better play catch up on some challenges so combined four into one card! for the beer bottle and some doodles hope thats ok? This weeks challenge is a colour challenge of Black & White Plus One. The black paper with the leaves was a sample of wallpaper from the local DIY store! Glad to be back crafting! !